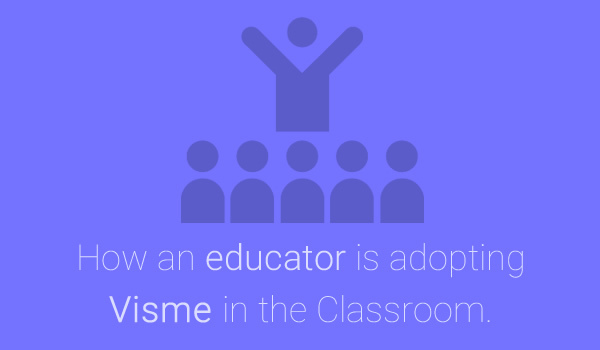 This was a case study Visme had done on my use of Visme in the classroom. Payman Taei provided me with the great opportunity to share ideas. Today we are interviewing Rachelle Poth, a High School teacher currently teaching Spanish in Pennsylvania. 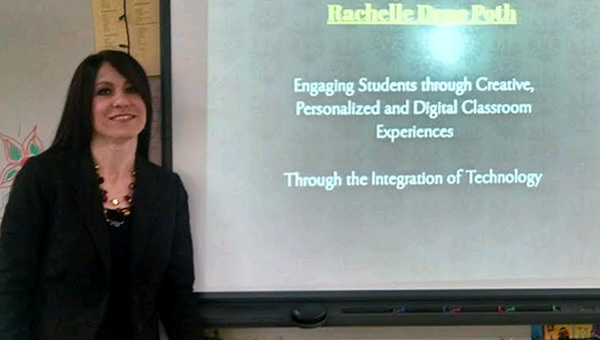 Rachelle likes to integrate and keep up with new technologies and she has found Visme to be a great tool to use in the classroom. You have been teaching for quite some time. Can you share your background with our viewers? I have been a Foreign Language Teacher at Riverview Junior Senior High School in Oakmont PA since 1997. I currently teach Spanish levels I through IV, but have also taught French during my time at Riverview. 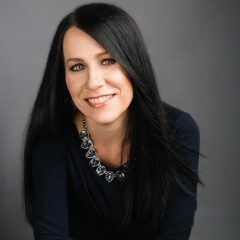 I continued teaching full time and then received my Juris Doctor Degree in June 2006 and passed the Bar Exam that July. I am currently pursuing my Master’s Degree in Instructional Technology at Duquesne University because of my commitment to lifelong learning and to providing the best possible learning opportunities for my students. You seem to keep up with new technologies and trends. Why do you use Technology in classroom? I love integrating technology into my classroom, and have sought to find new ways to help students learn better through the integration of technology. Prior to beginning the master’s program, I had started using an LMS, a messaging service and various project based presentation tools to build a more personalized, collaborative and innovative classroom through technology. I have presented sessions on technology during Professional Development days held within my school district and last March I was nominated as a Pennsylvania Keystone Star for Technology. From over 400 nominees in Pennsylvania who completed the application process after nomination, I was fortunate to have been selected as 1 of the 100 educators in Pennsylvania to attend a weeklong Keystone Summit held at Kutztown University last July. My experience at the summit was tremendously valuable and it was an opportunity to interact with other educators, build new connections and share ideas. I have continued to seek opportunities to share and learn about the integration of technology and enjoy attending conferences and EdCamps, presenting technology sessions, and participating in technology and education related chats through Twitter as often as possible. My presentations are focused on ways that technology can be used to provide personalized, creative and enhanced learning opportunities for students and how teachers can use various tools to make this possible. I have presented technology sessions at Lehigh University and the TRETC Conference in Pittsburgh in November. This February, I had the tremendous opportunity to be involved at PETE&C (Pennsylvania Educational Technology Expo and Conference) for the first time. I presented two sessions at PETE&C and also had two teams of my students showing their skills developed through Spanish classes in the showcase. I recently presented at the IUP Foreign Language Methodology Conference in April and I will be presenting two sessions at ISTE this summer and am so excited to have such a tremendous opportunity and look forward to meeting new people and re-connecting with colleagues. Integrating Technology: What are the next steps?